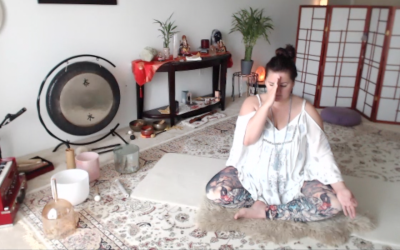 MELTed Self Care and INSPIRED YOGIS May IG Challenge! ​One thing after another and I never got around to posting yesterday’s treatment. Pictured here is a passive back of thigh shear to create a fluid exchange at thighs and into the lower back. My back is quite sore today from the labored nature of trying to get around right now! Day ​2​ of #INSPIREDYOGIS is #UTTHANPRISTHASANA​ – ​#lizardpose with any bind . . . LOL doing anything with this boot is a challenge … it is incredibly heavy! “Every time you are tempted to react in the same old way, ask if you want to be a prisoner of the past, or a pioneer of the future.” Deepak Chopra. ​​More Healing with MELT and Aromatherapy! Pictured here is the Calf Glide and Shear on my hard working right leg! It was simply yummy!!!! Included a Full Hand treatment as well as a Soft Ball Foot (one foot of course). I did a little super super light Friction Melting today on my injured foot while on the bed with the large soft ball. I wanted to stimulate the superficial layer of connective tissue and the lymph system, and it helped to relieve the stagnant feeling in my foot. I added Lower Body Length to this map as well. I just prop up with pillows to protect my ankle. Finally, I finished with a Rebalance/Upper Body Length, and a lovely Neck Release Sequence. I received some great recommendations on using essential oils to heal bone and tissues from some pretty awesome ladies!! I started with some Helichrysum and Cypress pictured here … great for breaking up coagulated blood, aids in bone and tissue repair, cypress is said to be a great oil for moving fluids in the body. I’ll include more info about the oils I’m using tomorrow. I use a carrier oil of coconut all over the area, and then I put a few drops of each oil into my palm and rubbed my hands together and into the area. I covered it with my ace bandage and let it go to work! I’ll report tomorrow as I’m doing a Hot Aromatherapy Treatment on my ankle tonight before bed. I’ll include the link to the video I found . . .
Lastly, this picture stood out to me today. When I removed my boot and bandage before treatment, there was a red knot on the top of my foot. It was sensitive, but it didn’t hurt or anything. You see here that after MELTing it subsided quite a bit! Strange and cool!